Scroll down to go through the submissions we got from this website. 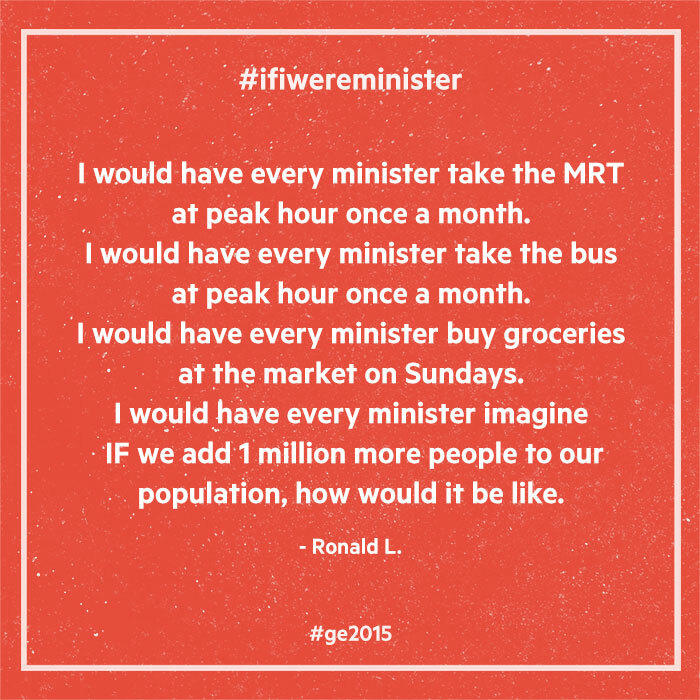 Do check out the #ifiwereminister hashtag on twitter and instagram.for other personal submissions via social media. 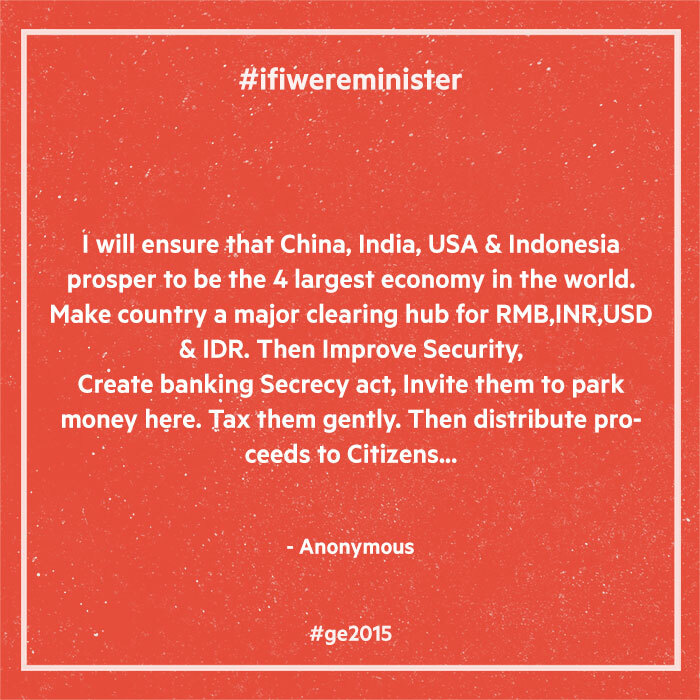 *To ensure better loading speed on viewing the submissions, #ifiwereminister contributions are now separate across pages.